Material:PU , Shoes can be cleaned by soft fabric, But cannot be washed. Note: Our size is not standard US size. Please check the size in the Product Description before ordering. If you just wanna walk on the road , you can hide the pulley wheels.there is a button behind the shoes, you can push it,then wheels will show or hide. You can walk on the road , the shoes will lighted up automatically. This shoes are Not rechargable. 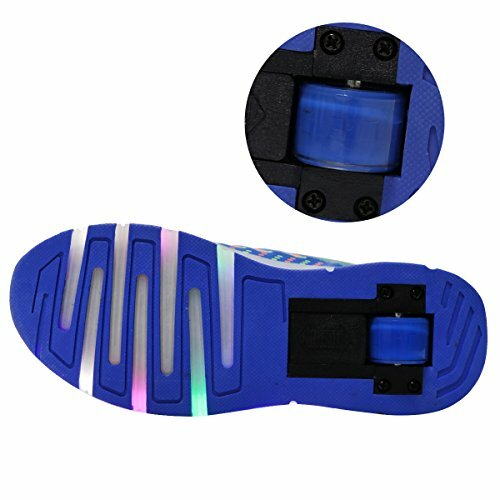 Amazing Light-up LED Sneakers Soles Light up in 7 Colors! 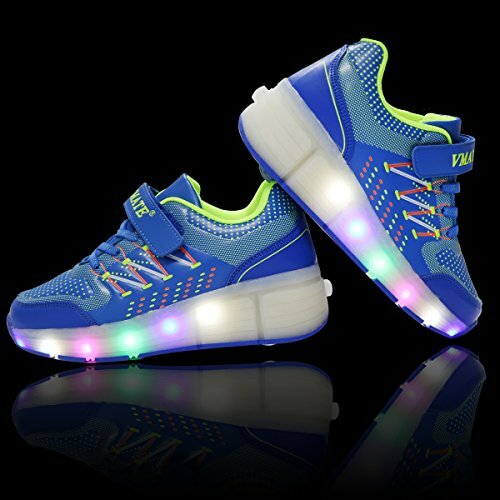 These Light-up LED shoes are perfect for the club, a rave party, or just a night out on the town. It is your best choice for footwear for any occasion you want to be noticed at.